Integrierter Lithium-Ionen-Akku ermöglicht bis zu 10 Stunden Musikgenuss. Keine Probleme mehr bei Regen oder verschütteter Flüssigkeit – du kannst ihn sogar in Wasser eintauchen. Der vollständig integrierte Metallkarabinerverschluss schützt den Lautsprecher vor Beschädigung und ermöglicht es, ihn am Rucksack oder an einer Gürtelschlaufe zu befestigen. Anrufe mit einem Knopfdruck auf dem Lautsprecher annehmen – dank des integrierten Mikrofons mit Echo- und Geräuschunterdrückung in kristallklarer Sprachqualität. Mit seinem verbesserten, widerstandsfähigen Material und dem robusten Gummigehäuse übersteht dein Lautsprecher jedes Abenteuer. 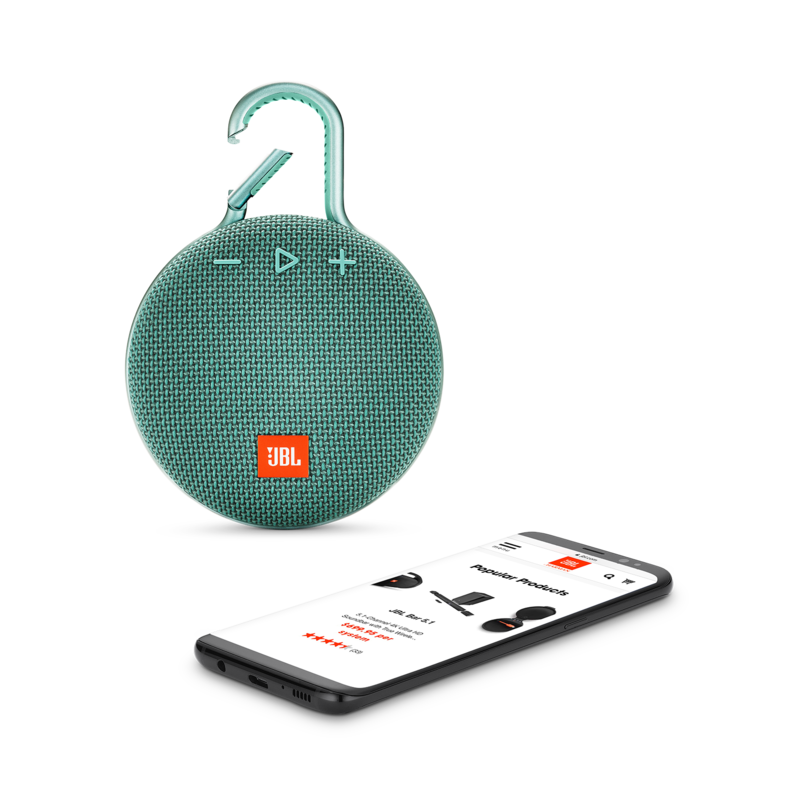 Der JBL Clip 3 ist ein einzigartiger, wasserdichter, äußerst robuster und extrem handlicher Bluetooth®-Lautsprecher von angenehmer Größe, aber mit überraschend starkem Sound. Mit dem verbesserten robusten und vollständig integrierten Karabinerverschluss lässt sich der Clip 3 an deiner Kleidung, einer Gürtelschlaufe oder deinem Rucksack befestigen und wird zum perfekten Outdoor-Begleiter für jedes Abenteuer. Der Clip 3 ist wasserdicht gemäß Schutzklasse IPX7 und bietet 10 Stunden Wiedergabezeit, gespeist von einem wiederaufladbaren Lithium-Ionen-Akku mit einer Leistung von 1000 mAh – damit du deine Musik stets zur Verfügung hast. Ein eingebautes Mikrofon mit Echo- und Geräuschunterdrückung garantiert auf Knopfdruck kristallklare Sprachqualität beim Telefonieren. JBL CLIP 3 wurde bewertet mit 4.2 von 5 von 109. Rated 5 von 5 von Riannedevries aus Verrassend mooi geluid!! Verwachtte er niet teveel van, maar wat een geluid! En super handig om mee te nemen op vakantie. Echt een aanrader! Rated 5 von 5 von Noahthekid56 aus Good Speaker This is my first speaker and I really like and how loud it is but when I try submerging it in water it starts cutting off then I put it all the way in water less than 1 foot and it’s cuts off all the way and when it gets wet it sounds weird for about 5 minutes. 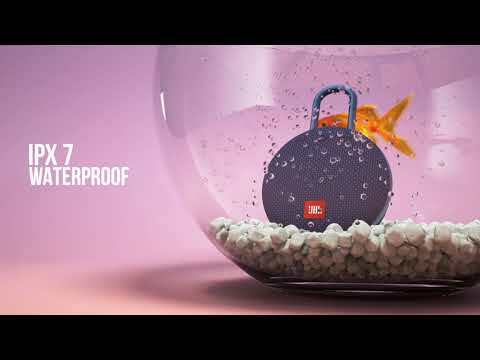 This is my first JBL speaker and I am very impressed. I just wish at full battery you would get 10 hours not 3. On the first day was super good and got like 7 hours of full volume and never died and had so much bass water would fly out of it but it’s still good but smells weird. 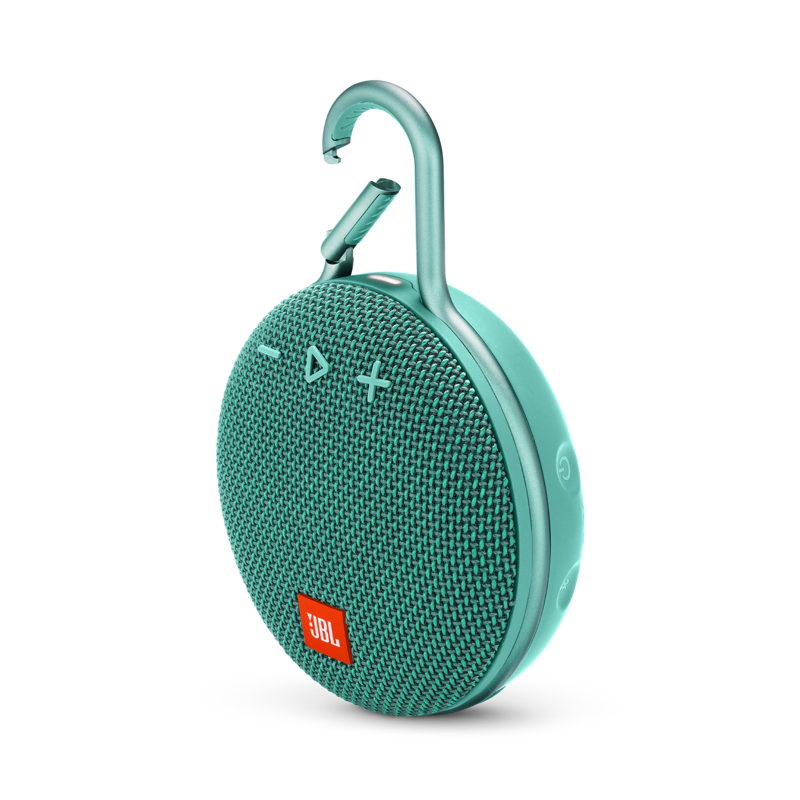 Rated 5 von 5 von Frapi125 aus Amazing little speaker. I am amazed with this new toy of mine. 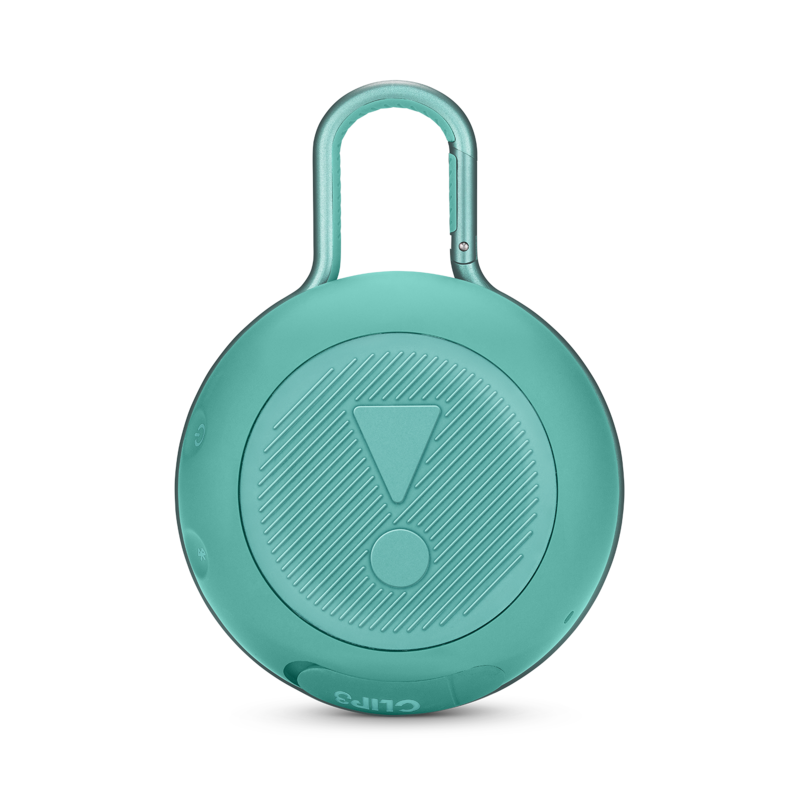 The sound quality is EXCELLENT and it lasts a very long time on a charge. It also recharges in a relatively short amount of time. The speaker is very well made and feels very sturdy. I haven’t tested the waterproof capabilities nor do I intend to do so but I have no doubt that it will live up to its advertised capabilities. I HIGHLY RECOMMEND this speaker. Rated 5 von 5 von ChristyClip3 aus Full Sound For Such A Small Device I recently bought this to use in a vehicle that has no Bluetooth capabilities, so my intention was to use it for music streaming and map/street-type navigation apps audio. It does the job perfectly for both! I charged it fully out of the box. It took roughly 2.5 hours, and four days later I am still at 70%. (Great battery life and I only had the volume at 50%). Also, I found that my iPhone displays the battery life. 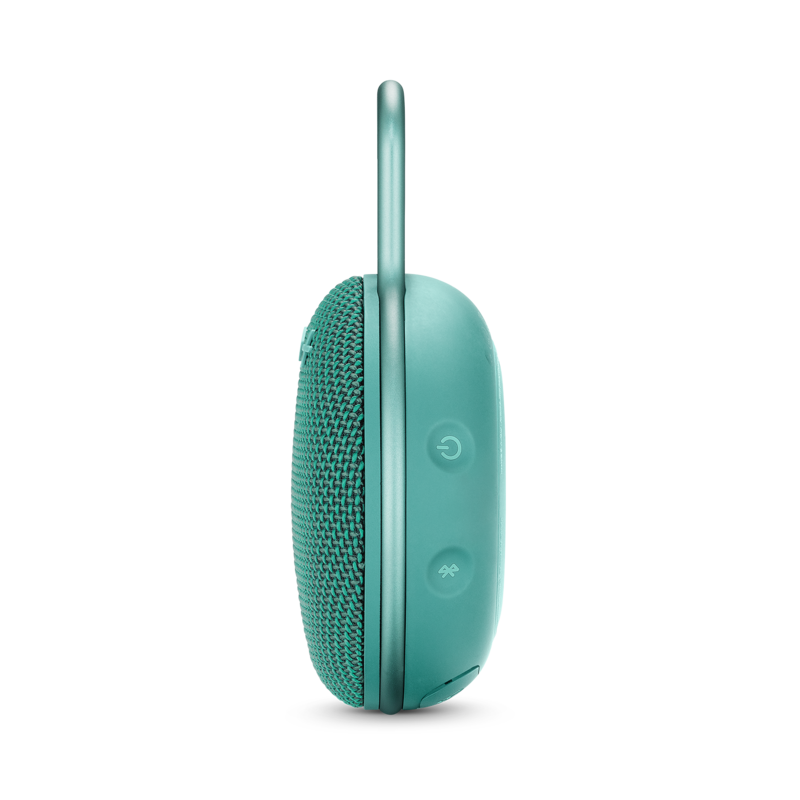 I have not fully explored speaker phone function to comment to those needing this, but I do find the sound to be slightly less “perfect” than my music and navigation audio. 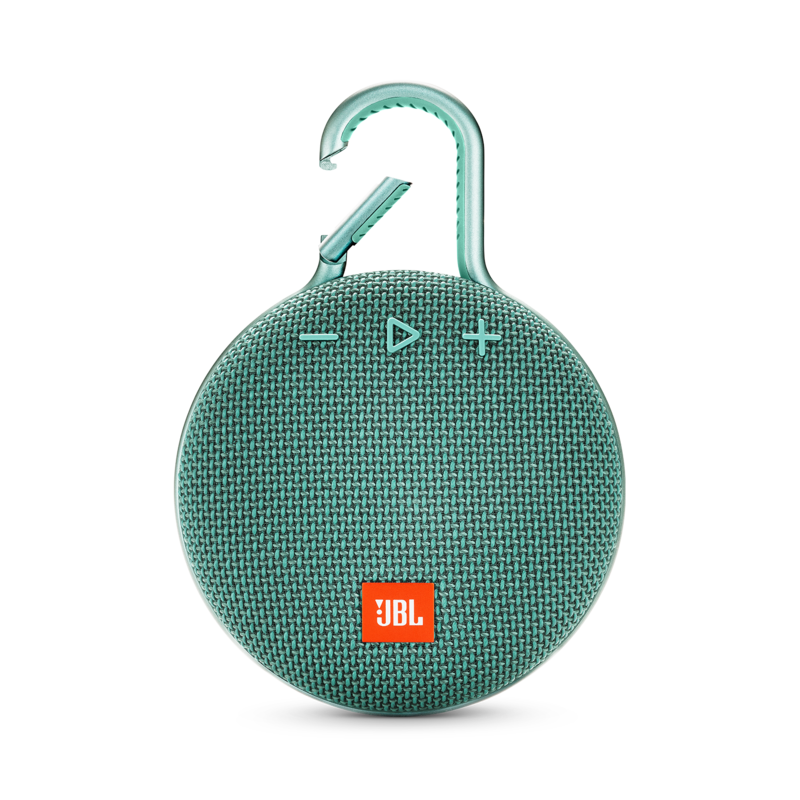 Overall, I am extremely pleased with my decision to buy the Clip3 versus the other Bluetooth speakers I was looking at, including others made by JBL. It’s small, yet sturdy. It has very full sound even though I had read there are no bass controls. You can stream music indoors, outdoors, and in your vehicle flawlessly. This is a big device at a reasonable price. Rated 5 von 5 von Emil Ashikyan aus Great product. I like it very much. It is very small but has a quite powerful sound. Because it is waterproof I can take it to the bath and hang it on bathrooms curtain. I also enjoy it while I’m doing workout at home. You can hamg it wherever you want. After doing so much compliments it will be great if JBL send me one more JbL clip LOL. Rated 5 von 5 von Gold93 aus Excellent produit je l'utilise depuis quelques semaines. Fonctionne parfaitement bien. Appairage super simple et rapide. Bonne sonorité pour un appareil nomade. A voir dans le temps.